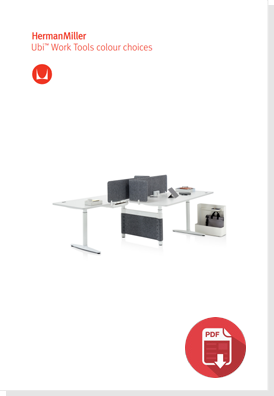 Assemble, arrange and organise workspaces to suit individuals needs. 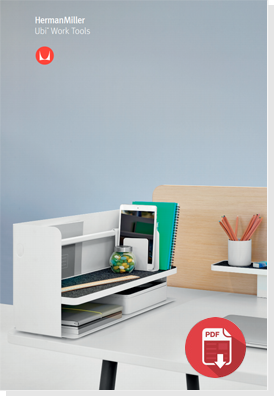 Keep both work and personal items stored neatly away whilst maintaining productivity within the work space. 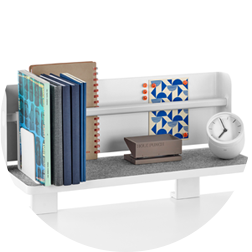 Adaptable to individuals needs, the Ubi collection is built up of a variety of workspaces accessories from organisers, attached shelves, name tags and bag hooks. 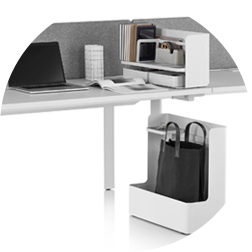 With this range of easily movable and portable features users can modify their desks to suit their own personal needs. Clutter free workspaces offer not only neatness and order to an office but can boost productivity. 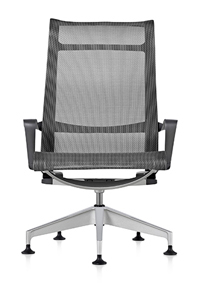 It’s minimal, compact design can allow employees to get on with everyday tasks without any added unnecessary distractions. Not only does Ubi Work Tools offer a diverse range of organisational accessories but it can also allow for office personalisation. 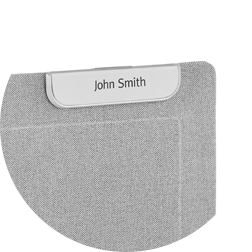 With the use of the Name Tag and the Slim Screen, employees can find their colleague from a distance and the Magnetic Document Clip means employees can hang notes and pictures on display. 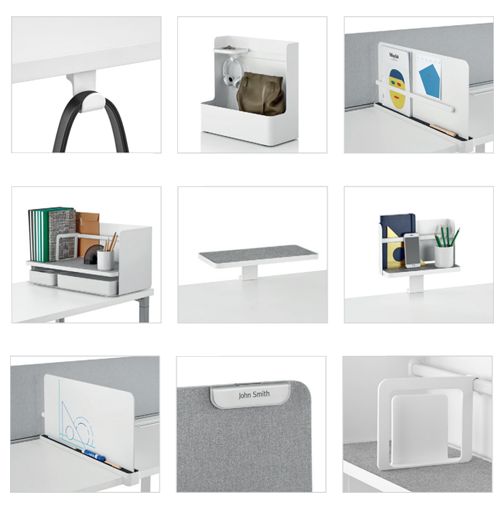 Bag Hook, Mobile Bag Catch, Slim Screen with White Marker Board, Organisers, Attached Shelves and Name Tags are all the various options you can choose from the Ubi Work Tools. The assembly is completely up the to user, they can rearrange each accessory to fit the space available and only use the tools they require. 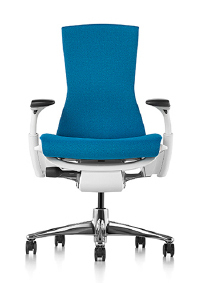 The Ubi Work Tools is also beneficial for shared workspaces. Employees can have their own individual space for their personal belongings whilst not encroaching on others peoples space. 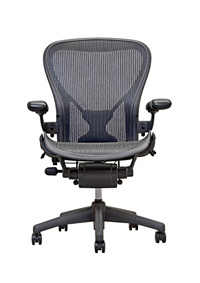 Herman Miller worked in collaboration with design firm Observatory to create this unique set of accessories to enhance everyday office life. By studying people’s work activities both Herman Miller and Observatory understood how space needs to be supportive, efficient and productive. 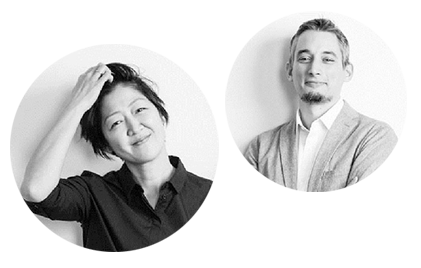 Ubi allowed these designers to offer effective and clever work tools to both large corporations as well as small organisations. The Ubi Work Tools colour options are subtle and professional but will still add a touch of personalisation. 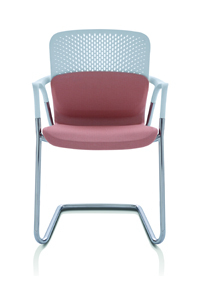 Employees can have their accessories standing out within their workspace with the three available finishes; white, metallic silver or graphite.